Samsung had launched the Galaxy S8 and the Galaxy S8+ in the US last month through all the major carriers. These were the Snapdragon variants with single SIM card slots. 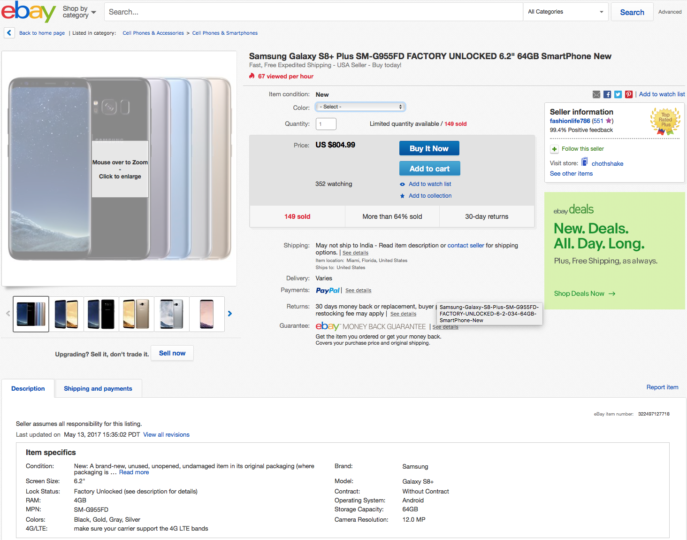 Now, factory unlocked variant of the Galaxy S8+ with the Exynos 8895 chipset and a dual-SIM card slot is available for purchase in the US. 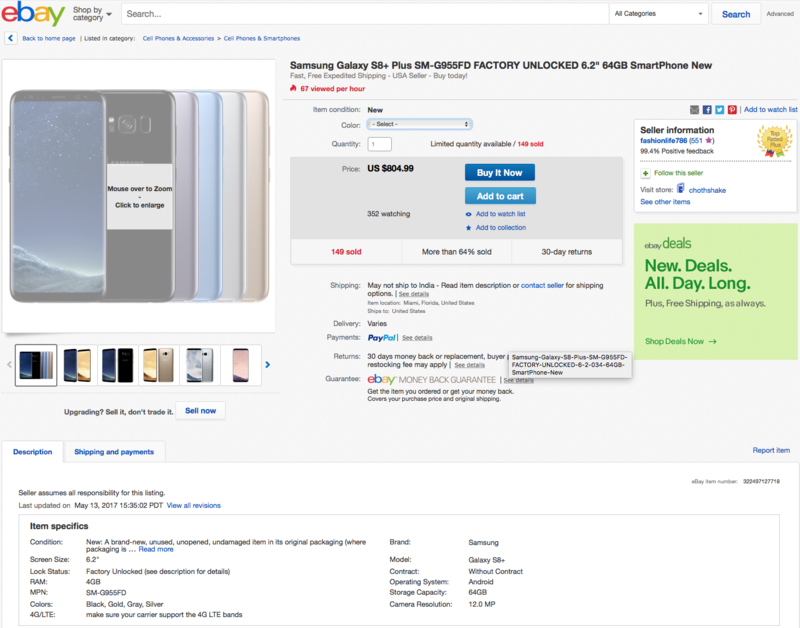 The Galaxy S8+ (SM-G955FD) can be purchased through eBay in the US for $804.99. It’s the EMEA version of the smartphone, which is region locked to the Americas, but you can easily unlock it by accepting or placing a five-minute call in any other country. The smartphone is currently available in Maple Gold and Midnight Black. The device is also available for purchase through carrier’s monthly plans as well, if you don’t want to spend too much in one go. However, please note that the device will work only on GSM networks, so it won’t support CDMA carriers like Boost, Cricket, Sprint, and Verizon. The article is misleading. The phone is not officially sold in the US by Samsung and won’t get any warranty through them. This dual SIM variant being sold is same as any other international variant being sold on eBay. Can you use 1 SIM and 2 MicroSD cards? Nope, 1 microSD + 1 SIM or 2 SIMs + 0 microSD card.